Usher is a remarkable execution of speed, agility and style. The interior, a Polynesian paradise, invokes a sense of leisure, relaxation and adventure with exotic woods, textures, natural fibers throughout with a floor plan that is open, airy & light. Five spacious tech-savvy cabins, complete with iPads, comfortably accommodate twelve guests. The yacht’s numerous outdoor areas are ideal for enjoyment, relaxation and entertainment. An elevator services all interior decks and Usher is also equipped with Zero Speed stabilizers ensuring maximum comfort. 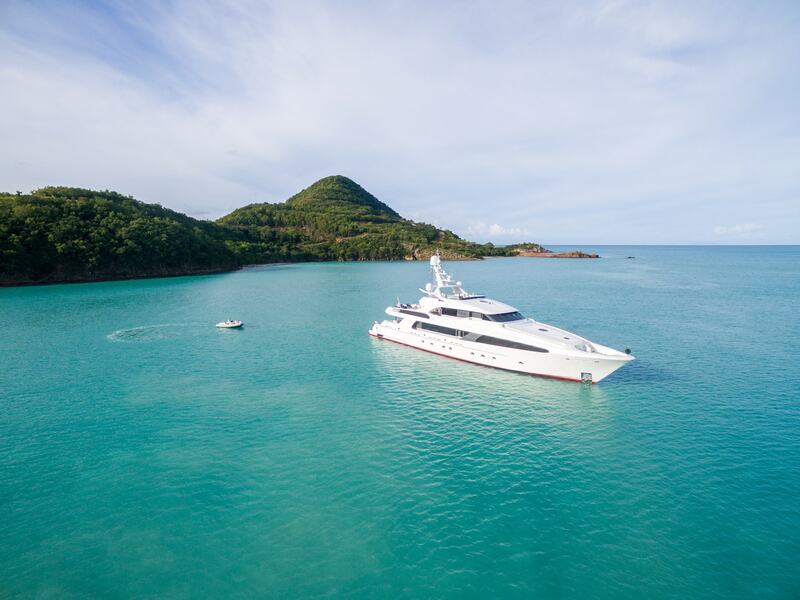 After an extensive refit in June 2014, Usherr is refreshed, improved and ready to fulfill charter wishes.